The prospect of lowering U.S. corporate taxes under President Donald J. Trump has raised expectations that companies will use the money saved to expand capital investment (CAPEX), viewed as long-expected and equally long overdue. Legg Mason brought together four senior investment leaders from its affiliates to discuss where the new administration may lead the economy, and what role corporate tax cuts and the money saved would have. They believe a surge in CAPEX is a likely – and mostly welcome – result. The full video, “Where to Seek Opportunity in 2017,” can be accessed via this link: https://youtu.be/UpI9adpN_tk. 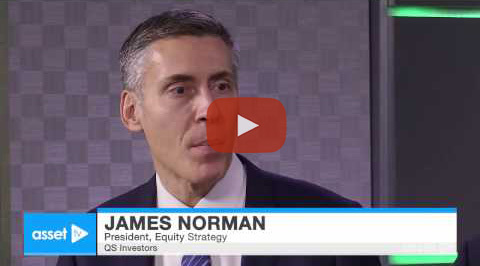 Asked what one policy might tip the scale quickly to more CAPEX, Mr. Norman was ready. How these changes could impact wages and inflation drew the attention of Brandywine Global portfolio manager Jack P. McIntyre. Western Asset Management portfolio manager Carl L. Eichstaedt focused on the credit cycle. Scott Glasser, Co-Chief Investment Officer of ClearBridge Investments, took the equity view. Using Uber and Airbnb as examples, Mr. Eichstaedt suggested other issues may be at work. “I think that there’s a secular change,” he said. “We might be missing something and focusing too much on CAPEX. Legg Mason is a global asset management firm with $707 billion in assets under management as of November 30, 2016. The Company provides active asset management in many major investment centers throughout the world. Legg Mason is headquartered in Baltimore, Maryland, and its common stock is listed on the New York Stock Exchange (symbol: LM). All investments involve risk, including loss of principal. Past performance is no guarantee of future results. Equity securities are subject to price fluctuation and possible loss of principal. Fixed-income securities involve interest rate, credit, inflation and reinvestment risks; and possible loss of principal. As interest rates rise, the value of fixed income securities falls. Yields and dividends represent past performance and there is no guarantee they will continue to be paid. The views expressed are those of the portfolio managers as of the date indicated, are subject to change, and may differ from the views of other portfolio managers or the firm as a whole. The opinions and views expressed herein are not intended to be relied upon as a prediction or forecast of actual future events or performance, guarantee of future results, recommendations or advice. Statements made in this material are not intended as buy or sell recommendations of any securities. Forward-looking statements are subject to uncertainties that could cause actual developments and results to differ materially from the expectations expressed. This information has been prepared from sources believed reliable but the accuracy and completeness of the information cannot be guaranteed. Information and opinions expressed by either Legg Mason or its affiliates are current as at the date indicated, are subject to change without notice, and do not take into account the particular investment objectives, financial situation or needs of individual investors. © 2016 Legg Mason Investor Services, LLC. Member FINRA, SIPC. Legg Mason Investor Services, LLC and all affiliates mentioned above are subsidiaries of Legg Mason, Inc.